PT Huadian Bukit Asam Power - PT HBAP is a rapid growing electricity power generating company in Indonesia. PT HBAP was formed in 2012 and has core business focus in coal fired power plant. PT HBAP operates primarily as an Independent Power Procedur (IPP) and running business in generating and supplying electricity power. 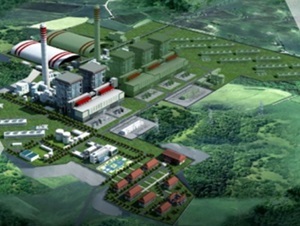 PT HBAP will operate the Banko Tengah 2x600 MW mine-mouth coal fired power plant, which also known as Sumsel-8 2x600 power plant. PT Huadian Bukit Asam Power is a multinational joint venture company established by China Huadian Power Hongkong Co Ltd and PT Bukit Asam Tbk. According to information found in PT Bukit Asam Tbk Annual Report 2017 as cited by JobsCDC.com, PT Huadian Bukit Asam Power is 55% owned by China Huadian Power Hongkong Co Ltd and 45% by PT Bukit Asam Tbk. JobsCDC.com now available on android device. Download now on Google Play here. Please be aware of recruitment fraud. The entire stage of this selection process is free of charge. PT Huadian Bukit Asam Power - Civil Engineering Assistant Manager, HR Manager Bukit Asam Group November 2018 will never ask for fees or upfront payments for any purposes during the recruitment process such as transportation and accommodation.